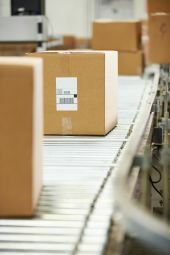 We have the technological systems and processes to make your order completion as fast, accurate and easy as possible. As a result, we have grown to be one of the most respected providers of ecommerce and order fulfilment services in Australia thanks to our reputation for dispatching correct orders within 24 hours. Furthermore, not only are we the only company in Australia that guarantees our pick and pack services, but we also offer the most comprehensive customer service available. Most of all, our guarantee is a reflection of our confidence in the 3PL logistics services we provide.